Picked from 28-year-old bush vine vineyards with low yields adds concentration and intensity of flavour. Exotic mango, peach and pineapple with hints of limey citrus on the nose. A beautiful fruit core of peach-infused citrus characteristics and a hint of honey-glazed nuts. A well-balanced, full-bodied wine with a long, lingering finish. Exotic mango, peach and pineapple aromas with hints of lime. Fruit flavours of elegant peach-infused citrus with a hint of honey-glazed nuts. A well-balanced, full-bodied wine with a long, lingering finish. The grapes were handpicked at full ripeness during the coolness of early morning. The average sugar content of the grapes was around 22-23°B, allowing for a ripe, full-bodied wine. Half of the juice was fermented with partial solids at 16°C, enhancing the rich, round fullness of the wine. The other half was fermented at a cooler 14°C in stainless steel tanks, preserving the delicate fruit flavours of the Chenin grapes. Bâtonnage took place weekly, which allowed for greater richness in the wine. Boschendal winery is a unique destination. Only an hour's drive from Cape Town, this magnificent winery is situated in the picturesque Groot Drakenstein Valley, at the gateway to Franschhoek. 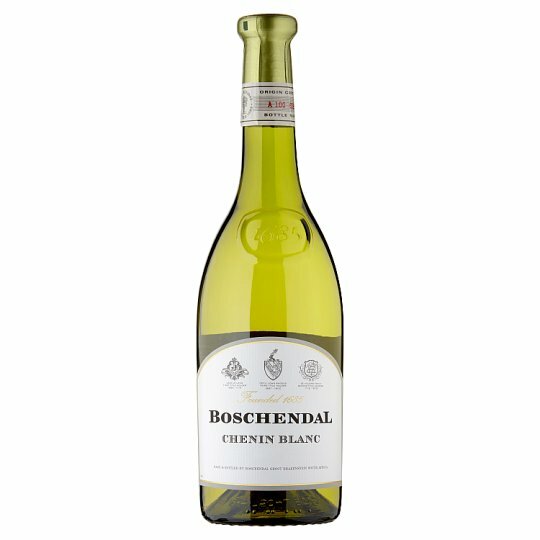 Boschendal lays claim to a proud winemaking tradition stretching back to the late 17th century. From award winning wines to fine dining and exquisite grounds, this world class estate seamlessly blends its rich past with a tireless commitment to constant innovation. The grapes were picked from 28-year-old bush vine vineyards with low yields and good quality fruit. The moisture stress in the vineyard resulted in tiny berries, allowing for concentrated flavours in the wine. The grapes were sourced from an area renowned for top quality Chenin in the Coastal region of the Cape.